In the meantime, I thought I’d put together a master list of everything I’ve posted so far, so you can follow along. I’ll continue updating this as the series continues. Hedgehog in the Fog – a whimsical and poignant animated short, widely considered the best animated film of all time. My Love – Sentimental yet stunning animated short. Stalker – Compelling, riveting and philosophical, this is stripped-down Soviet sci-fi and might be one of my favorite movies. PS – I was getting a little tired of Old Russia, so I figured I’d liven things up by giving you something modern. 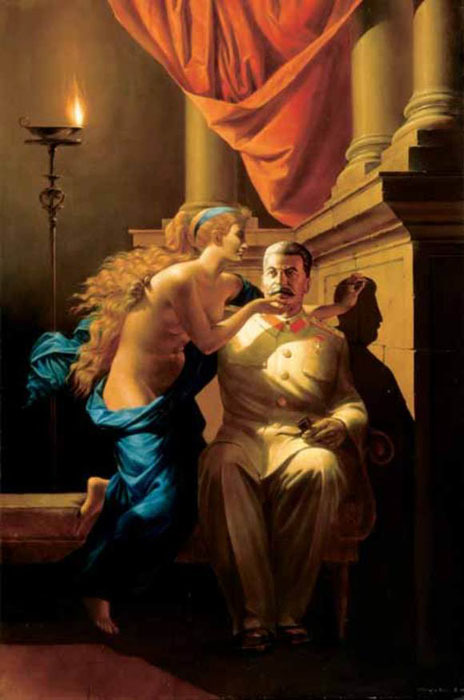 The image at the top of the page is a painting entitled The Origin of Socialist Realism, by Russian-born American artists Komar and Melamid. Don’t worry, we’ll get to Socialist Realism (and Komar and Melamid, who are NOT socialist realists, let the record show) soon!